What Small Business Loan is Best for You? Whether you are just starting out with your small business, or you have a need for a loan though you’re already established, you want to find the best short term loan you can for you and your business. But how do you go about doing this? First, you need to have a sound business plan. Again; whether this is slated towards your initial start-up or for an expansion and/or new equipment, make sure your business plan is thorough and accurate. Not only should your business plan be well thought out, it also needs to be well written. Clean it up of typos and make sure it’s clean and concise. Then you’ll be on your way to finding your loan. It’s a good idea to start small. Decide on your minimums, not just what you want, but what you need, and go from there. For instance, if you’re looking at expansion, start with one building instead of two. Next, you need to decide where to go to look for the loan. As the following article shows, you have a few options to find the best loan, and you may even keep your eyes open to find the best home or auto loan while you’re at it. 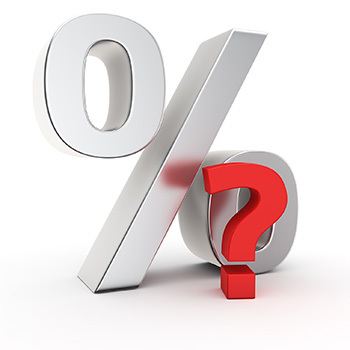 Usually banks still offer the lowest rates and are established with stable reputations. Don’t just stop with one or two tries, though. It’s important to reach out to a number of banks to find what will not only work for you, but what works best. You need to be comfortable with the proposal, and not just take anything. These are through the Small Business Administration (SBA) and this is a way to reach banks that specifically work with small business. It can save you a lot of time, and you may also get some closer attention and help because <b>these banks specialize in small business. Some alternative lenders are online, and it doesn’t hurt to look. These may be small companies or even entrepreneurial individuals looking to help a start-up. Be careful, here, because they probably won’t have the solid, established reputation the banks have. Often the rates are higher than banks, but lower than credit card rates and that’s a main reason for seeking this loan in the first place instead of maxing out your credit cards. Finding the right loan takes a little time, but with the right short term loan, you’ll have it paid off sooner. Take that time to find the best one for you, because your ultimate goal should be seeing your small business thrive financially; you don’t want to be a paying a loan off forever. About the Author: Heather Legg is a writer who covers topics related to social media, small business and working from home.